Scratching is a normal behavior that allows your cat to condition his claws, mark his territory, and have a nice stretch! Cats are naturally drawn to the biggest, most stable thing in the room and unfortunately your couch, among other furniture, meets those requirements. To prevent destructive scratching provide alternate, appealing things for your cat to scratch on like scratching posts or corrugated cardboard. Encourage your cat to use the posts by placing one near her favorite sleeping area and a second post near a prominent area. 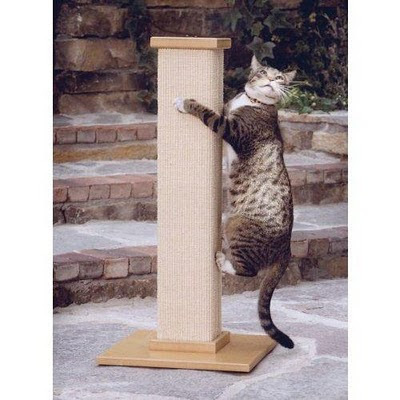 A scratching post must be tall enough for your cat to scratch with his legs fully extended and sturdy enough to support his weight without toppling. You can make the post more attractive by rubbing catnip onto it, attaching toys, or providing a more elaborate structure with climbing and perching areas. Reinforce the use of the scratching post by offering your cat a food reward each time she approaches the post and multiple rewards whenever she actually scratches the post. Remember we are always here to answer questions. If problems persist despite your best efforts there are other options (like placing plastic coverings over your cat’s nails) that are available from the veterinarian. We can be reached at 301-631-6900. This entry was posted in destructive scratching, scratching prevention on January 30, 2011 by yourfriends. By far, the most important way to make cats love their litter box is to keep their litter boxes clean-sccop at least once a day. You should have one more litter box than the number of cats you have (ex. 2 cats = 3 litter boxes). The boxes should not all be in one place (if you have stairs, have at least one litter box on each level of the home) and need to be in a private, quiet area. Make sure your litter boxes are large. Most cats prefer boxes that are not hooded. Make sure the litter os at least 3-4 inches deep at all times. Most cats prefer unscented, perfume-free, clumpable litter (Dr. Elsey’s Precious Cat Cat Litter is excellent). 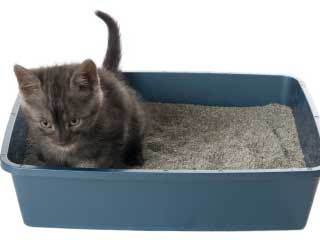 Completely dump out and wash the litter boxes with mild soap (not bleach or ammonia) every 2-4 weeks. This entry was posted in litterbox suggestions on January 27, 2011 by yourfriends. 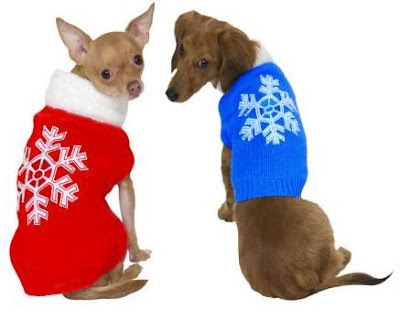 -Keep your pets warm and indoors. As always cats should stay inside. Since cats left outdoors may stay warm in car wheel wells or under hoods, you should awake any sleeping animals by rapping on your car hood before starting the engine. -Trips outside should remain short during the winter months. While dogs need outdoor exercise, lengthy walks can prove harmful especially when wind chill is a factor. -Dogs should remain leashed and supervised when outdoors throughout the year. However in the winter do not bring them near bodies of water even if they appear frozen. 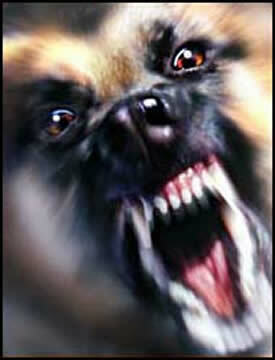 -Shorthaired dogs such as Greyhounds, Beagles, Chihuahuas and clipped breeds should be dressed in protective clothing. -Wipe off your dog’s foot pads and stomach fur after returning from the outdoors. -Outdoor shelters for pets should be dry, secure from wind and only large enough for them to stand up, turn around and lie down. The shelter floor should also be elevated from ground level and have dry bedding. A steady water supply should be provided in plastic bowls and checked on so that it does not freeze. -Pets that spend a greater amount of time outdoors also require more food. This entry was posted in weather tips, winter pet tips on January 24, 2011 by yourfriends. Petfinder recently asked their Facebook friends for their wackiest, funniest and most original pet names. They narrowed down nearly 400 responses to their favorites for dogs, cats and groups. This entry was posted in Petfinder, Wacky pet names on January 21, 2011 by yourfriends. This entry was posted in Dog bites, The New York Times on January 18, 2011 by yourfriends. This entry was posted in Missy, pet rats on January 15, 2011 by yourfriends. Looking for a great doggie gift? Looking for a great doggie gift? Well then check out www.bichonrescueboutique.com. There are a variety of useful pet products such as car seats, no hands leashes, anxiety wraps, breed specific gifts and many others. The best part of purchasing from the bichon boutique is that all of the proceeds from the sales go to support Bichon Rescue. This entry was posted in Bichon Rescue, dog gift on January 13, 2011 by yourfriends. With temperatures in the mid-20 for the few weeks, it should be ok to stop my dogs’ heartworm prevention, right? NO! Why is Interceptor recommended for use all year round for my dog? Heartworms are a blood parasite transmitted by mosquitoes. From the time an infected mosquito bites your dog to the time your dog will test positive for heartworm disease is 6-7 months. Heartworms are transmitted when a mosquito bites an infected dog, or natural host like coyote, acquires the baby heartworms called microfilaria and then bites another dog, giving the second dog the baby heartworms while taking a blood meal. The baby worms mature in the blood stream, travel through the lungs to the heart and fill it up like a bowl of spaghetti. Yuck, right? There is a small risk, depending on the temperature, that a mosquito survived outside and can bite your dog. Mosquito’s can allow sneak inside and bite our pets. Heartworm disease is fatal if untreated and expensive, painful, and dangerous to treat. Keeping your pet on heartworm prevention like Interceptor year-round guarantees that your pet will not become infected with adult heartworms and have to go through lengthy and painful treatment. If you stop Interceptor when it cold, how do you know when to start again? What if you stop and it warms back up? It’s just safer to give your dog Interceptor year-round instead of trying to guess when the mosquitoes are active. Interceptor also prevents 3 common intestinal parasites- roundworms, hookworms, and whipworms. The eggs of these parasites can be dominant in the soil for long periods of time and then active again when your pet ingests them (licking their feet after walking in the dog park, puppies that constantly try to eat anything they find). Interceptor will prevent the eggs from forming into adult parasites in your dog’s GI tract, causing nausea, diarrhea, and abdominal pain. Two of those parasites, roundworms and hookworms are zoonotic, meaning they can be spread from pets to people, usually children and adults or elderly with compromised immune systems. This entry was posted in Interceptor, Parasites on January 12, 2011 by yourfriends. Even in these cold temperatures, Rover needs to be walked. Next time it snows, be careful which ice/snow melt you choose to apply to the sidewalk and driveway. Traditional rock salt can heat up to 175 degrees and cause inflammation, irritation and burns to your pets’ feet and mouth. 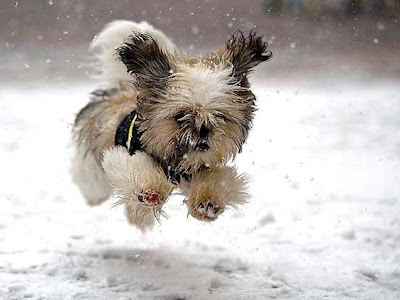 Safe Paw® is a salt-free alternative that won’t harm your pets, plants, grass or pavement. It’s also better for the environment but will be sure to melt ice and make it safer to navigate on Rover’s walks. If you walk your dog on a public road or other area where rock salt has been applied, be sure to wash and dry your pets’ feet when they come in to avoid an irritation from the salt or ingestion of it as they lick their feet. 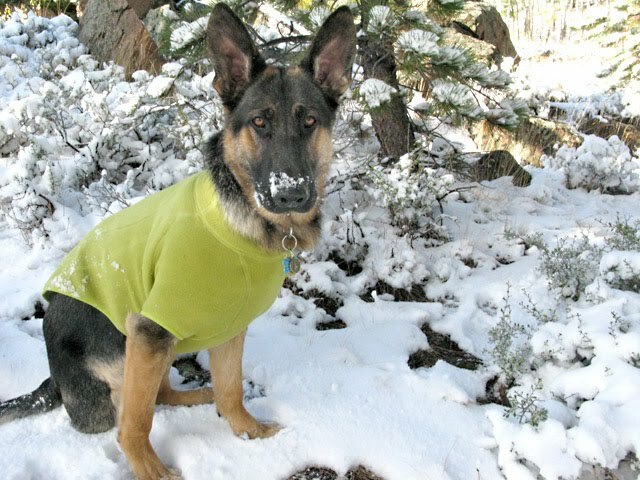 This entry was posted in pet friendly snow melt, Safe Paw on January 9, 2011 by yourfriends. HEY All- we’ve been seeing a lot of ringworm or ringworm suspicious cases recently. Curious to know what it is and what it looks like? Here you go!! 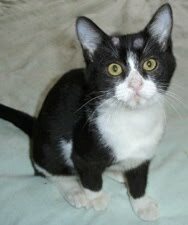 Dermatophytosis or ringworm is a clinical condition caused by fungal infection of the skin in humans, pets such as cats, and domesticated animals such as sheep and cattle. The term “ringworm” is a misnomer, since the condition is caused by fungi and not by parasitic worms. The fungi that cause parasitic infection (dermatophytes) feed on keratin, the material found in the outer layer of skin, hair, and nails. These fungi thrive on skin that is warm and moist, but may also survive directly on the outsides of hair shafts or in their interiors. This is why when you here the term ringworm you automatically think of a red circular lesion on the skin. Although the lesion is not always in the shape of a ring, symptoms do include hair loss, usually in small patches at first. As time goes on the patches may disappear or appear at other locations on the skin. There might be scratching due to itchiness. If the hair loss occurs on the face or feet there is a chance it is due to digging habits or exposure to rodents. The pictureabove shows typical lesions seen in Ringworm. A diagnosis of this disease can not be made based just on the appearance of the lesions because other skin conditions (Demodex for example) can show similar lesions. If you have any questions or concerns please don’t hesitate to give us a call (301)-631-6900. This entry was posted in Dermatophytosis, Ringworm on January 6, 2011 by yourfriends.